Apollo is struggling to stick to its mission. 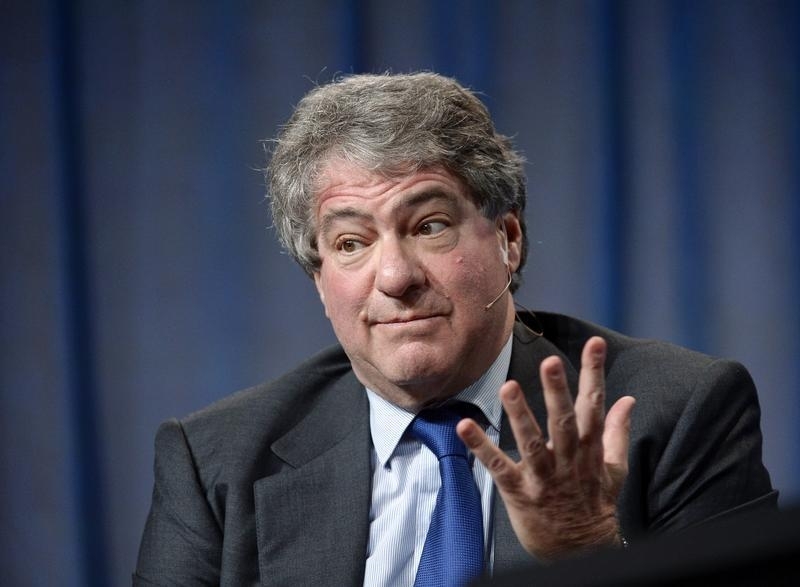 The private equity shop led by Leon Black, Joshua Harris and Marc Rowan plans to buy OM Group, a maker of specialty chemicals and magnet and battery technology, for a headline valuation of 9.4 times EBITDA. Side deals will lower the multiple but adhering to Apollo’s avowed restraint is tough in such an exuberant market. The small buyout illustrates a bigger industry problem. Black considers price discipline a main ingredient in his firm’s secret sauce. “We have done very well in terms of returns but frankly what I’m most proud about in our track record is that we have paid very low multiples,” he said last year at the Milken Institute Global Conference. Apollo’s seventh buyout fund, from 2008, generated a net internal rate of return of nearly 26 percent through the end of last September, according to CalPERS, while Black said the fund paid on average 6.1 times EBITDA for its deals. Taking OM Group private will cost more. The company is projected by analysts to generate about $100 million of EBITDA this year, meaning Apollo is paying about 9.4 times for the enterprise. After closing the $1 billion deal, though, Apollo will sell OM businesses that generate about $28 million of EBITDA to Platform Specialty Products – a venture started by Nicolas Berggruen and Martin Franklin and backed by Bill Ackman. These will fetch $365 million, or a valuation of 13 times, and drop what Apollo pays to about eight times. Platform also could absorb additional OM corporate costs, thus reducing the multiple further still. Though Apollo may be stretching its own standards, the OM deal looks economical for the times. U.S. buyouts last year and in the first quarter of 2015 on average commanded about 10 times EBITDA, according to S&P Capital IQ. At those prices, returns will inevitably slip, even with cheap debt. Apollo needed financial contortions to make the tiny OM Group deal work for its whopping $18 billion eighth fund. If such a traditionally cautious acquirer is reaching a bit, just imagine the ill-advised buyouts taking place elsewhere.